EAST CANTON, Ohio — Every farm has to find it’s own path. For Varian Orchards, the path is moving from fruit production toward entertainment. 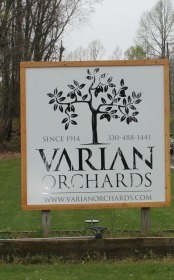 In a period of five years, Varian Orchards has changed its business model, transitioning from a family apple orchard to an event venue. “The venue side is what is going to keep this orchard going for the next 30 years,” said Reed Varian. The venue is a renovated barn that is located by a lake on the property, and it’s become a popular location for weddings. The wedding ceremonies are typically held outside and the reception is held in the barn. They started by hosting five the first year, and the number jumped to 35 in the next year. There are no dates available for weddings in 2016 and 15 are already booked for 2017. There are even two weddings booked for 2018. The wedding venue is available for both Friday and Saturday weddings from April through November. “In Ohio, you only get so many Saturdays,” said Cliff Varian. Then on Sundays, bridal or baby showers and other parties and fundraisers are held in the location. “We are hosting the wedding, not the details,” said Cliff Varian. However, those wishing to hold an event there have to use one of the caterers Varian has secured for the venue because the caterer has to be registered in order to serve food at the location. The Varians have added handicap ramps, handicap accessible bathrooms, fire alarms and a new septic system to the facility. The barn used to house a cider mill, but it had to be dismantled so that bathrooms could be added. 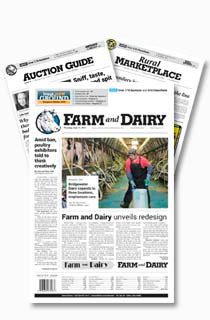 Cliff Varian, who championed the idea in the family, said that wedding planning is taking most of the farm’s energy and focus now. He got married on the property eight years ago and the family received lots of praise about the event. At that time, the event was held using tents. Then the family moved into the barn, but without bathrooms. When the business grew, they realized they needed to add the bathrooms. So the Varian family began brainstorming and decided to take the idea of a wedding venue to a new level. “We have a long history of apples and peaches, but a short history in the venue business,” said Cliff Varian. 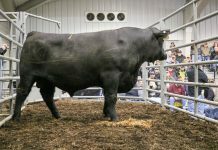 There were zoning considerations and they had to apply for a permit to operate an entertainment venue from Stark County and Osnaburg Township. 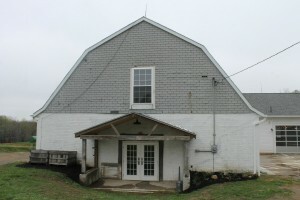 The barn had been the epicenter of family’s apple processing enterprise for so many years, and was where the cider press and the apple sorter had set for the past few generations. 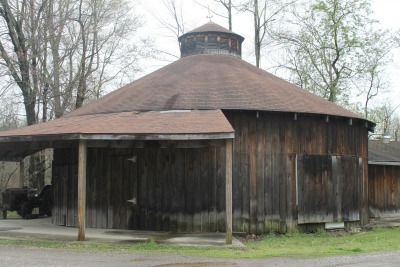 For the barn to be considered a “place of assembly,” which means it can fit more than 50 people under county codes, it had to have certain qualifications. For example, the barn’s outer walls had to be straightened, which meant taking the roof off the barn and reinforcing the wooden supports. Then came the need for an updated septic tank, so they installed a six-tank septic system. The bathrooms were added and made handicapped accessible. The electricity had to be updated and a fire alarm system installed. There is also now a reserve tank of city water in the barn basement to meet the code. Exit doors had to be added with lighted signs and designated handicapped parking spaces had to be created near the facility. The Varians decided that they had so much success with the barn venue that maybe a smaller venue could also be added. They turned their attention to an apple barrel out in front of the farm where the family sold their produce. They removed the apple equipment that had been housed in the building and added a furnace. Now, it is a smaller venue, and can hold 50 people. So far, two events have been held in the apple barrel and eight more are planned. The Varian family wants to make the Varian Orchard a top choice for events. Cliff said that they are holding senior citizen dances and allowing Girl Scouts to use the facility as a place to bunk and explore the outdoors during the day. 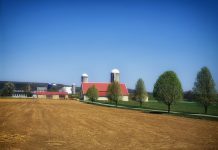 In addition, the Varian family is opening their farm for additional farm tours, and is even searching for grants to help underwrite the fuel costs that forced many school districts to cut field trips. Cliff was a kindergarten teacher until he decided two years ago to move back to the farm and operate it full time. He is now using that knowledge to develop curriculum for school tours. The farm had been granted funding by Dominion Gas for a LEAP grant, which has resulted in a lab bus, where students will be able to ride through the farm and explore. Then they can use what they learn in experiments on the bus. Although apple and peach production is temporarily suspended at the farm, the family is making plans for the next generation of apple and peach trees. 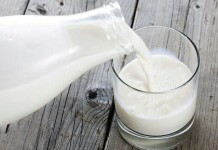 “To get where we are, we had to cut the farming,” said Reed Varian, Cliff’s father. The orchard was started in 1914. Six generations later, the orchard continues. Reed explained that the orchard has passed its prime and the production wasn’t justifying the cost and labor. So, the Varian family decided to stop apple production two years ago to concentrate on building the venue enterprise. 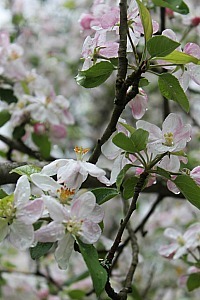 Now both Cliff and Reed credit the wedding venue as being the income source to make the new orchard possible. Today, they are in the process of tearing out the apple and peach trees and replacing them. 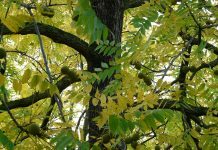 In 2015, 150 trees were replaced. In 2016, plans call for 200 more to be replaced and 400 more in the 2017 and 2018. Once the orchard is back up and running, it will be producing Jonathan, McIntosh, Red Delicious, Yellow Delicious, Melrose, Transparent and Lodi apples. The farm also has a rich heritage of producing Red Haven peaches and is replacing those trees as well. They are also planning on growing grapes and maybe including cherries into the operation. 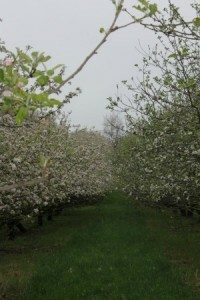 Besides apple production, the farm has a history of unpasteurized cider making. 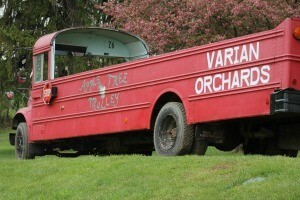 Although that process has also come to a halt, the Varians hope that they will find a new home for the cider press on the farm and will be back to crafting the drink once apples come back into production. 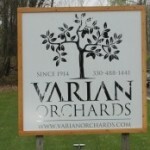 Beyond the event venue, the Varians are hoping to make Varian Orchards a family destination, with plans for agritainment, to create another revenue stream for the farm. Cliff says he is thankful for what his grandparents and parents have taught him about the orchard business and says that knowledge is what will keep the farm around for the next generation. There are now four generations of the Varian family that live on the farm property, and both Reed and Cliff make it clear: They are hopeful for the farm’s future.